Leave tab is where managers can manage Vacations. By default, Leave Management is the landing section that appears along with an option at the top right side to Request Leave. 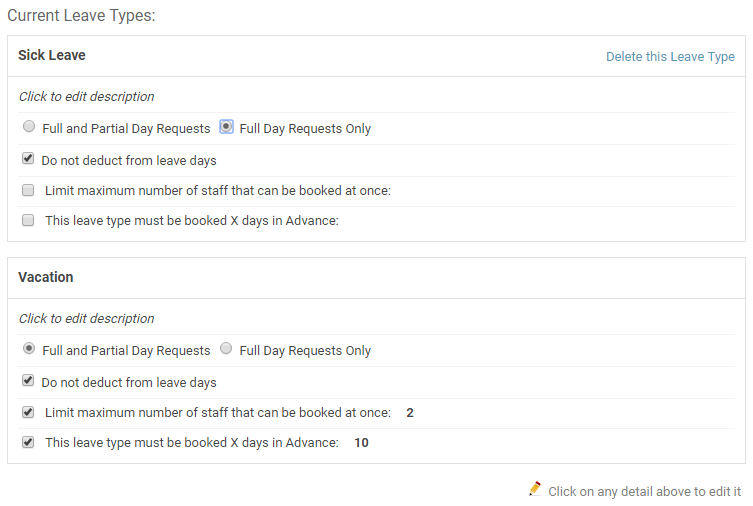 Your employees can book a full day or partial day off by clicking the option Request Leave from the top right of the Leave Module. Whether an employee can book a full day or partial day leave depends on the settings you have enabled under the Settings - > Leave & Availability. Once management confirms the request, the vacation day(s) will be listed in the employee's 'Upcoming time off' section. An employee will also receive an email or an SMS text notification when their vacation is approved or denied. Leave page has Leave Management section from where managers can see Leaves awaiting approval. Managers can review the Leave details and can then approve/reject the leave request. Employees are notified via email/text when the request is approved or rejected. There is a Check option too that lets managers see who already are booked. 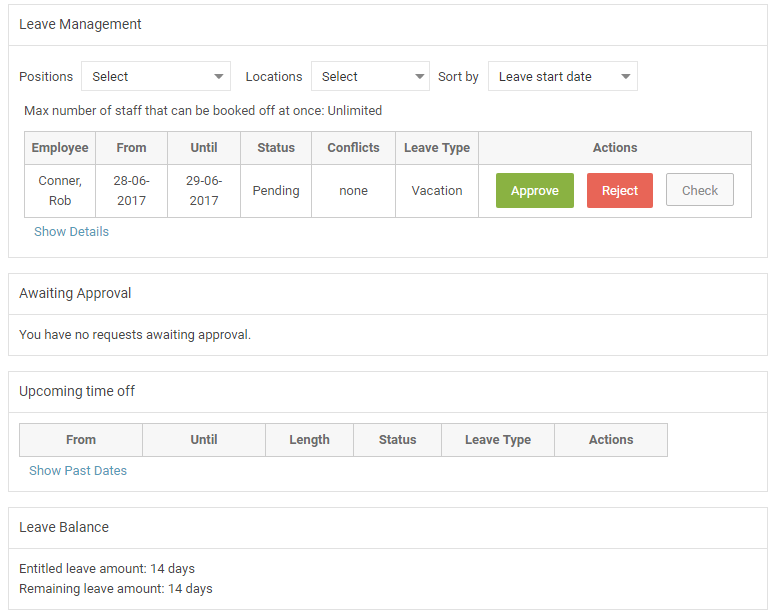 Using Vacations or Vacation Summary report under the Reports module, you may track the Leave status per employee, position or location. 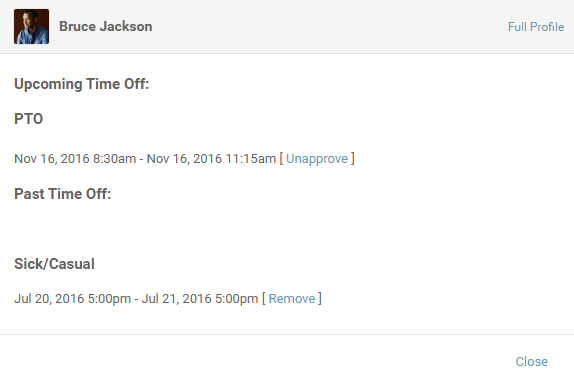 Besides reports, the approved leaves can be seen in the "ShiftPlanning" tab by applying the "Leave Schedule" filter. Clicking the Leave would allow the management to un-approve an approved leave.